Ambrogio15 in collaboration with Bobboi, the famous Gelato maker in La Jolla village came up with an exclusive flavor to satisfy your after dinner cravings. First of all, giving you the flavor those two newly established San Diego institutions came up with. Let me give you a little bit of background about them. Ambrogio15, you know those three guys from Milan, as you are on their website. 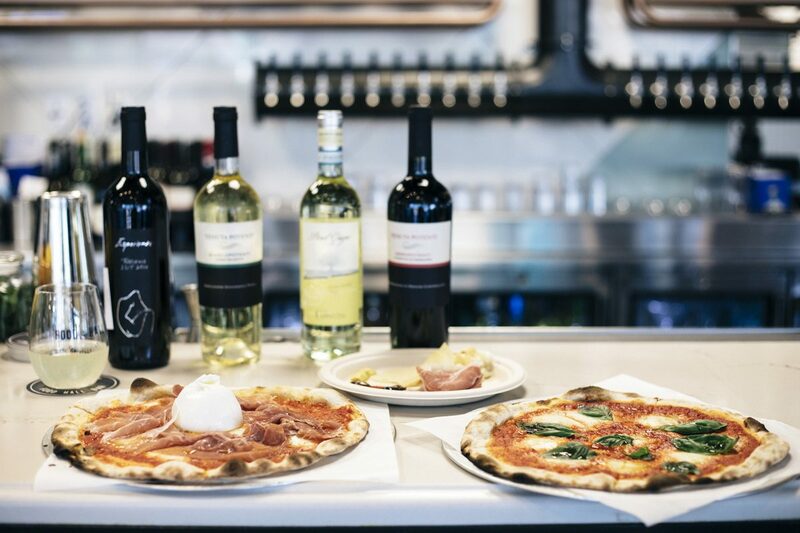 Ambrogio15 is rapidly expanding in San Diego, after opening the very successful Pacific Beach restaurant two years ago in August. Since then they brought in Executive Chef Daniele Piazza. They also opened Ambrogio15 Little Italy within the Little Italy Food Hall at Piazza della Famiglia. Bobboi is located at the end of Girard Street in La Jolla and opened in 2014 to set a new bar on the Gelato market in San Diego. Their approach promoting sustainability by using smaller and “uglier” fruits to make their award winning Gelato flavors has brought them a lot of press. Now Time Magazine reported that Bobboi was voted #8 in Yelp’s 100 best places to eat in America. And Yahoo food picked Bobboi as #2 Best Gelato place in America. Yes, Ladies and Gentlemen, this means something. The Italian owners are making flavors that are very hard to beat. Let’s now talk about this new exclusive flavor. The gelato Bobboi and Ambrogio15 came up with is a delightful blend of Pistachio with Lemon Zest. 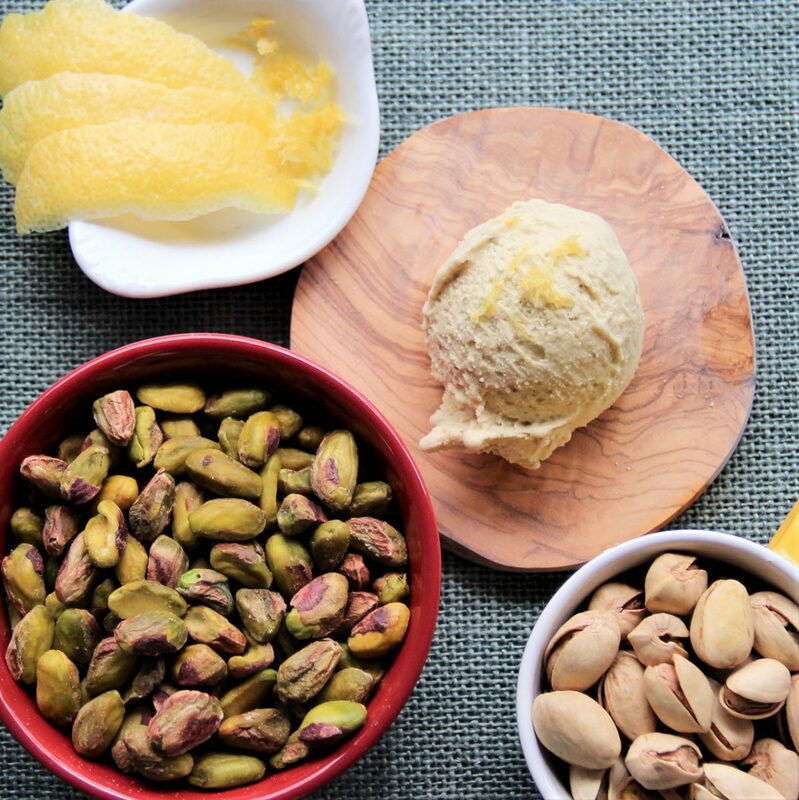 Bringing a very balanced taste between the sweetness of pistachio and tanginess and aroma from the lemon zest. It is the perfect way to end your next meal at ambrosia giving your sweet tooth a treat. Sweet, but not too sweet, as you figured out about the European desserts. “This new Gelato is so good, it’s very hard for me to not have it after every dinner… It’s an honor for us to collaborate with Bobboi. Just like we know our craft about pizza, they are the best at what they do. Their gelato is just the best in San Diego. Trust me as an Italian man, the quest to find the best gelato in any city is real. 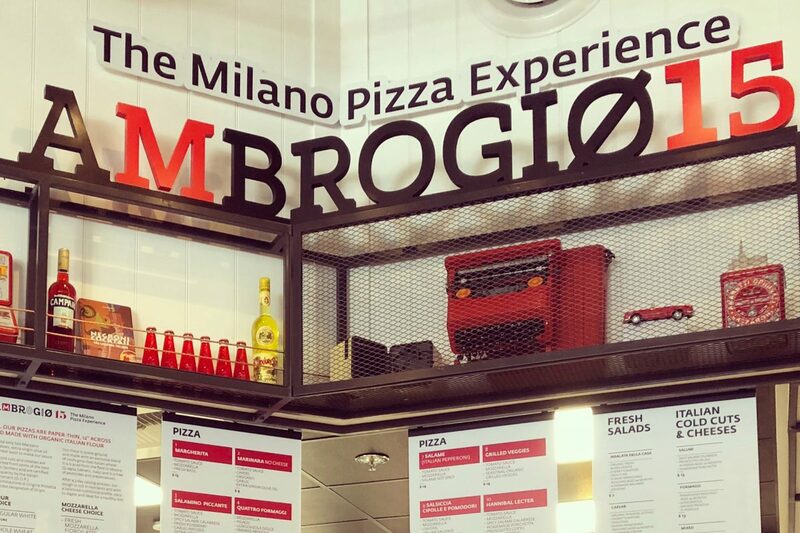 I found it the first time I stopped by Bobboi.” says Giacomo Pizzigoni, Co-Founder of Ambrogio15. As you can imagine, you can only have this gelato on premises at our Pacific Beach Restaurant, and unfortunately won’t be available for Online Pickup as you know gelato melts and we want to make sure that you enjoy it at the proper temperature. You have all been to a music festival, and you have seen the food options there. Sometimes you end up having some good food choices, and sometimes you are out of luck and bound to eat what is available. This weekend is quite a big music festival in Little Italy with electronic music. There will be thousands of people at this festival and a selection of food booths. You can come and visit us in the Little Italy Food Hall, but there is a possibility that the line will be long. We also have the online pickup store on our website – http://littleitaly.ambrogio15.com – with this application you can order your pizza from your UBER (or Lyft) on the way to the music festival, pick it up at Ambrogio15 Little Italy twenty minutes later. The Little Italy Food Hall is the perfect place in San Diego for you to pickup food before the music festival. Always good to be out and partying in the sunshine with a full stomach. In the case you would indulge, with moderation, to a few adult beverages. It’s much better to have carbohydrates. Especially pizza so you don’t feel the negative effects of alcohol in your body. As you know, Italians love to indulge. Could it be with food or drinks, as well as spend time in the sun. So you can trust us on helping you be prepared for an evening of fun in the sun. After the festival, we will still be open so you can indulge in another pizza, or try one of our cheese or charcuterie plates, those will give you the necessary energy so you can keep dancing through the night. We love music festivals, specifically electronic music. But this year we will be focusing on your fun. Making sure to provide you with the highest quality of food. We want you to enjoy everything single moment of it. Fingers Crossed. Happy Hour will be taking place from Monday to Thursday from 3:00PM until 6:00PM and then late night from 9:00PM until 10:00PM.